The Court heard that on 06/02/2018 Mrs Abrahall drove a motor vehicle as a provisional license holder unaccompanied and not displaying L plates. They also had no insurance in force covering the use of the vehicle. Taking into account the defendant’s guilty plea, Mrs Abrahall was fined £540.00. She was ordered to pay a victim surcharge of £54.00 and costs of £85.00. Her driving record was endorsed with 6 points. 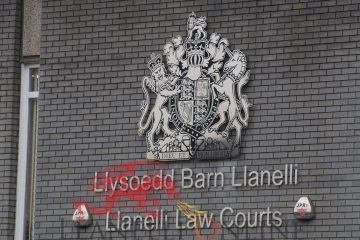 The Court heard that on 05/02/2018 Miss Boreland drove a motor vehicle as a provisional license holder unaccompanied and not displaying L plates. They also had no insurance in force covering the use of the vehicle. Taking into account the defendant’s guilty plea, Miss Boreland was fined £120.00. She was ordered to pay a victim surcharge of £30.00 and costs of £85.00. Her driving record was endorsed with 6 points. 18-year-old Mr Dewi Owain Bufton-Matthews of Ty Du Gwyn, Powys. The Court heard that on 05/02/2018 Mr Bufton-Matthews used a motor vehicle when the front nearside tyre wheel was fitted with a pneumatic tyre which had the ply or cord exposed. Mr Bufton-Matthews was fined £220.00. He was ordered to pay a victim surcharge of £30.00 and costs of £85.00. His driving record was endorsed with 3 points. The Court heard that on 04/02/2018 Mr Clarke drove a motor vehicle when there was no test certificate in force for the vehicle. Mr Clarke was fined £220.00. He was ordered to pay a victim surcharge of £30.00 and costs of £85.00. The Court heard that on 05/02/2018 Mr Franklin drove a motor vehicle when there was no insurance in force covering the use of the vehicle. Mr Franklin was fined £660.00. He was ordered to pay a victim surcharge of £66.00 and costs of £85.00. His driving record was endorsed with 6 points. The Court heard that on 07/02/2018 Mr Freeman drove a motor vehicle when he was in such a position that he was able to see a television receiving apparatus used to display something other than information about the state of the vehicle or its equipment or about the location of the vehicle and the road on which it was located. There was also no insurance in force covering the use of the vehicle. Mr Freeman was fined £660.00. He was ordered to pay a victim surcharge of £66.00 and costs of £85.00. His driving record was endorsed with 6 points. The Court heard that on 03/02/2018 Mr Griffiths drove a motor vehicle when a front row seat passenger was leaning out of the window, with their entire torso was outside the confines of the vehicle with no seatbelt on. Mr Griffiths was fined £220.00. He was ordered to pay a victim surcharge of £30.00 and costs of £85.00. His driving record was endorsed with 3 points. The Court heard that on 04/02/2018 Mr Holt drove a motor vehicle at a speed exceeding the legal limit of 70 miles per hour. The speed recorded by means of calibrated speedometer was 100 miles per hour. 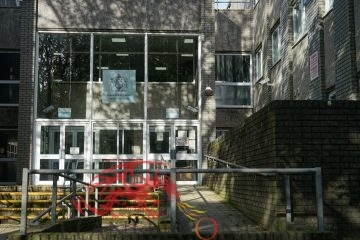 Taking into account the defendant’s guilty plea, Mr Holt was fined £660.00. He was ordered to pay a victim surcharge of £66.00 and costs of £85.00. His driving record was endorsed with 6 points. The Court heard that on 05/02/2018 Mrs Madgwick drove a motor vehicle as a provisional license holder while unaccompanied with no L plates displayed, and when there was no test certificate or insurance in force covering the use of the vehicle. Taking into account the defendant’s guilty plea, Mrs Madgwick was fined £120.00. She was ordered to pay a victim surcharge of £30.00 and costs of £85.00. Her driving record was endorsed with 6 points. The Court heard that on 06/02/2018 Mr Price drove a motor vehicle at a speed exceeding the legal limit of 30 miles per hour. The speed recorded by means of laser was 50 miles per hour. Taking into account the defendant’s guilty plea, Mr Price was fined £230.00. He was ordered to pay a victim surcharge of £30.00 and costs of £85.00 His driving record was endorsed with 6 points. The Court heard that on 03/02/2018 Ms Rees drove a motor vehicle when she was at the time using a hand-held mobile telephone. Ms Rees was fined £220.00. She was ordered to pay a victim surcharge of £30.00 and costs of £85.00. Her driving record was endorsed with 6 points. The Court heard that on 03/02/2018 Mr Sebastian drove a motor vehicle as a provisional license holder while unaccompanied and without displaying L plates, and when no insurance was in force covering the use of the vehicle. Mr Sebastian was fined £660.00. He was ordered to pay a victim surcharge of £66.00 and costs of £85.00. His driving record was endorsed with 6 points. The Court heard that on 04/02/2018 Mr Walshe drove a motor vehicle as a provisional license holder while unaccompanied and without displaying L plates, and when no insurance was in force covering the use of the vehicle. Mr Walshe was fined £660.00. He was ordered to pay a victim surcharge of £66.00 and costs of £85.00. His driving record was endorsed with 6 points. The Court heard that on 31/01/2018 Mr Waring drove a motor vehicle as a provisional license holder while unaccompanied and without displaying L plates, and when there was no test certificate or insurance in force covering the use of the vehicle. Taking into account the defendant’s guilty plea, Mr Waring was fined £185.00. He was ordered to pay a victim surcharge of £30.00 and costs of £85.00. His driving record was endorsed with 6 points. The Court heard that between 22/06/2017 and 09/11/2017 Mrs Jones committed fraud in that she dishonestly made false representations, namely using the details of another person’s Debit Card without their knowledge intending to make a gain of £2718.13 for themselves. Taking into account the defendant’s guilty plea, Mrs Jones was given a community order which requires her to take part in 180 hours of unpaid work within the next 12 months. She was ordered to pay compensation of £2718.13 as well as a victim surcharge of £85 and further costs of £85. The Court heard that on 13/06/2018 and 14/06/2018 Mr Morris stole perfume and aftershave to the value of £741.50 and £1028.00 from Debenhams. Taking into account the defendant’s guilty plea, Mr Morris was given a Curfew Requirement and Electronic Monitoring for 12 weeks beginning immediately. He was ordered to pay a victim surcharge of £85 and costs of £85.